If I had a dollar for everytime someone on a Cardio machine at the gym dropped their iPod/iPhone, I would have about $47. And I would've earned 3 of those dollars yesterday. 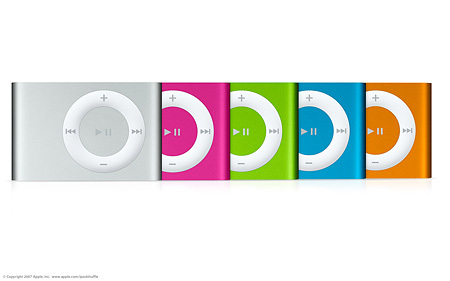 It's all about the iPod Shuffle people. It's lightweight, clips on a shirt well, and if you do drop it, you don't risk breaking your entire phone. And it's only $45!! Get one today in any sassy color you like!